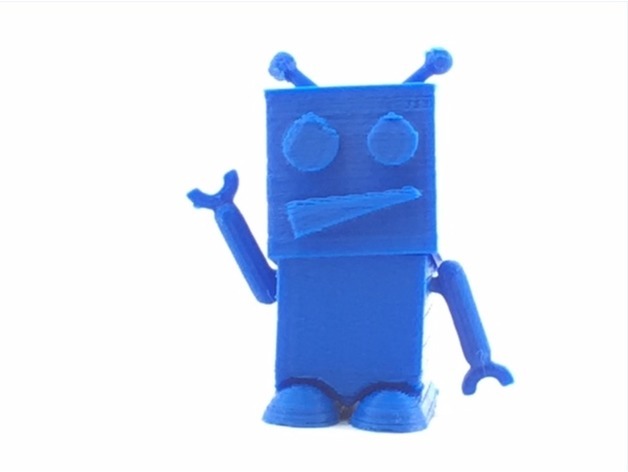 wedobots: LEGO® WeDo designs for the busy teacher: 3D Printed ChiBot! We were kind of busy working with a custom made 3D printer in order to bring a few surprises later on. Why? Rather than recommending commercial kits, you can make your own to teach advanced robotics classes. Isn't it cool! ¡Ha pasado mucho tiempo sin publicar algo! Hemos estado un pelín ocupados diseñando una impresora 3D para tener algunas sorpresas más adelante. ¿Por qué? Y porque no algo mejor que recomendar kits comerciales donde ahora puedes enseñar tus propias clases de robótica avanzada, no estaría nada mal, ¿cierto? For now we have a 3D version of ChiBot if you want to have your own one. The photo is horrible, but it is a zoomed image taken with a smartphone, not really smart this time, but better sooner than later. Enjoy! Por ahora tenemos la versión 3D de ChiBot si quieres tener uno. La photo está horrible, pero es un zoom de una imagen tomada con un teléfono inteligente, no muy inteligente verdad, pero es más rápido así. I have been using this replica watch,replica omega watches it is a very beautiful and affordable automatic watch, good size, great quality, elegant and temperament, is my favorite style. fake omega seamaster aqua terra watches I shared this website with my friends and they were very happy.